Lindsay had a few of her mother’s old blazers that were over-sized and boxy. 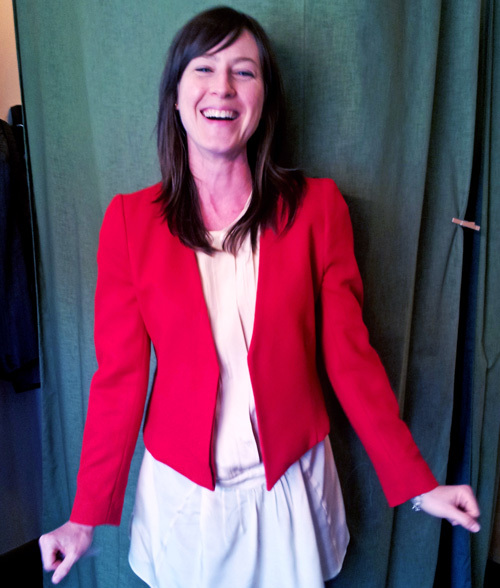 She wanted them to fit in with her modern wardrobe, and she had one jacket in particular that grabbed my attention–how can you go wrong with a statement fire-engine red blazer?! As you can see the fit was just way too big for her. I started by adding an additional side seam to remove roughly 6″ from the waist and reset the shoulders so they fit her frame. Next we added the fun details–we decided to re-cut the neckline and hem the bottom with an angle to make the jacket super modern and easy to wear to work, but also perfect to pair with skinny jeans! Lindsay was my favorite customer to take “after” pictures of, she kept giggling because she was so happy! 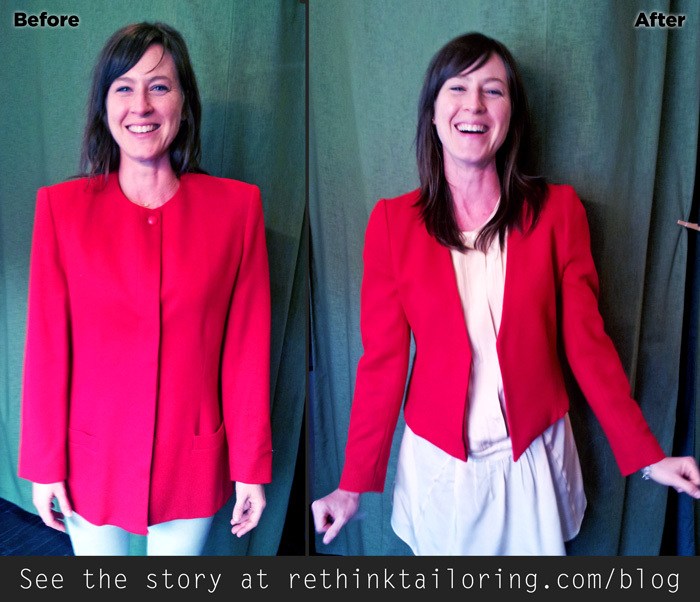 Do you have a blazer you want to completely redesign? 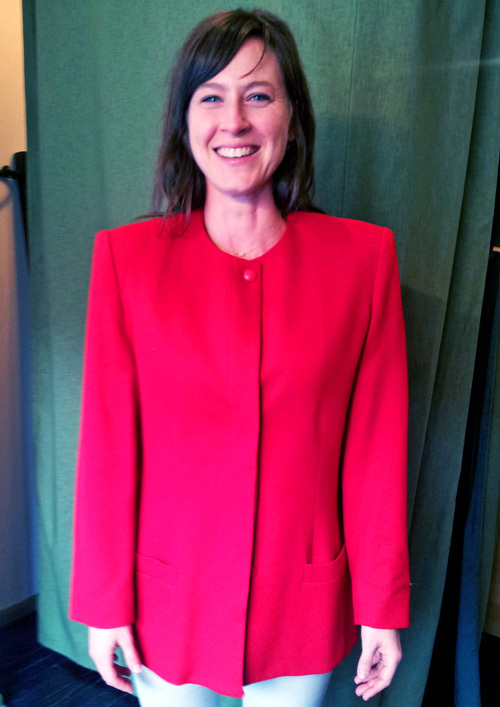 Email me about it at kristen@rethinktailoring.com and I can help brainstorm what to do!